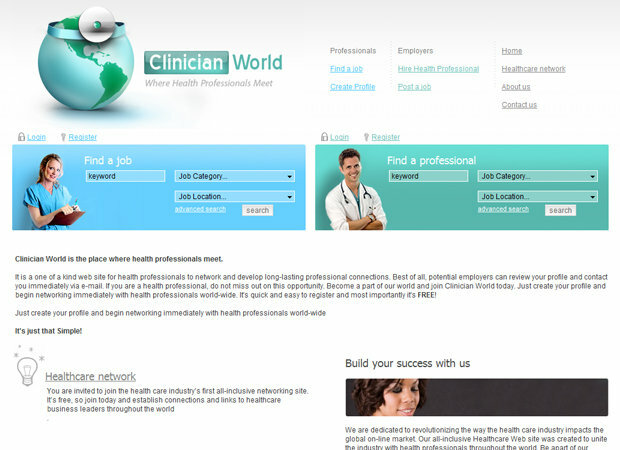 Clinician World is the first and only of its career search kind within the global on-line health care industry. Their mission is to unite the health care industry today to create a better health care system tomorrow. Clinician World is the first and only of its kind within the global on-line health care industry. Their mission is to unite the health care industry today to create a better health care system tomorrow. Our mission on this project was accomplice the development of a Career Search and a job posting website on the same platform. WDE created all the components to support forums, job listing, members management, job posting, online payments and an innovative and web 2.0 oriented design.